When most Americans purchase a home, they take out a special loan called a mortgage. Mortgages come in a variety of shapes and sizes, so it’s important to understand your options and pick a product that’s a good fit for you. First, mortgages typically amortize over a 15- or 30-year period. That means that at the end of the period, you are 100% done paying off your loan. Second, there are two major varieties of mortgages: fixed rate mortgages and adjustable rate mortgages (or ARMs). 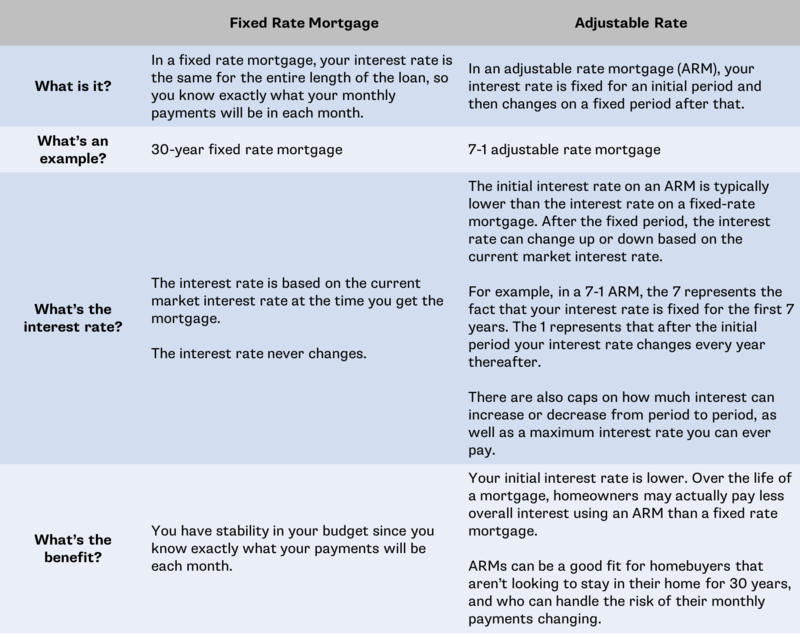 The 30-year fixed rate mortgage is fairly unique to the United States. Most homeowners in other countries only have access to adjustable rate mortgages. The most important thing is that you understand how the different options work and determine which is the best fit for you. Currently, about half of Landed customers land on a fixed rate mortgage, while the other half decide that an adjustable rate mortgage works best for their family. Note that you should always seek advice from licensed professionals before making a decision on which mortgage product is right for you and your family. Nothing in this blog post is meant to be construed as advice.